Do you know that traces of copper occur naturally in our body and are especially good for the liver and the brain in its recommended amount? Since the ancient era, copper utensils are used traditionally cook meals as copper was the most readily available metal. But it was later found out that copper vessels also have a bunch of health benefits. But with the passage of time and the discovery of other metals, copper soon became a thing of the past. Steel became a more popular option and replaced copper entirely. Copper is an amazing conductor of heat and has a beautiful shiny exterior. Due to these properties, copper was considered the preferred material for kitchen utensils. But after the boom of stainless steel, it was confined to just form the outer layer of the pots and pans. The inside of the pots and pans are made of stainless steel to avoid any chances of copper toxicity. The problem with copper is that, unlike stainless steel, it has the tendency to react with the food items stored in it. This may or may not result in copper toxicity. Therefore, copper vessels should not be used for cooking or storing acidic food items. Also, one should restrain from keeping milk and milk products such as curd, cream, butter, etc. in a copper vessel. Honey, citrus juices, fruits, etc. should also be avoided. But there is one exception to all the above-mentioned food items, and that is water. Water is one thing which when stored in a copper tumbler or pitcher can provide with a lot of health benefits. Research and studies have time and again proved the anti-microbial properties of copper. 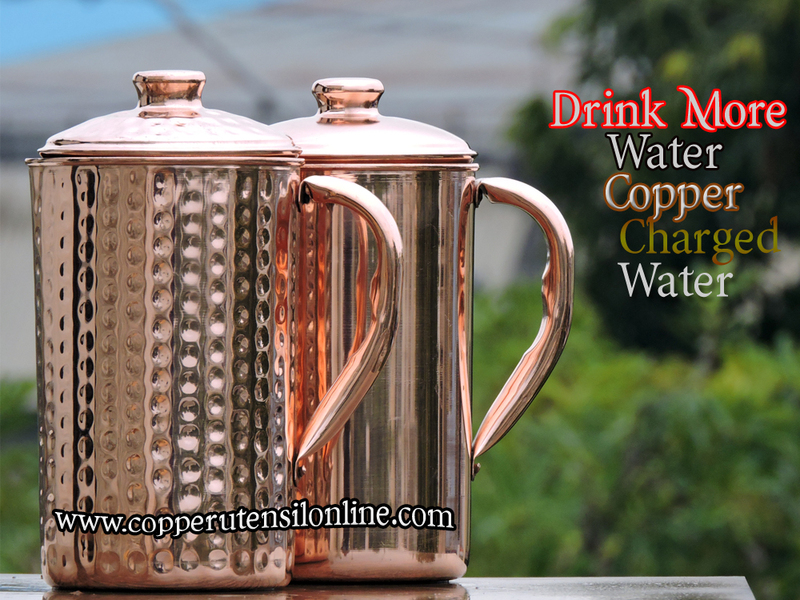 As per Ayurveda, drinking copper infused water slows down aging by stimulating the production of collagen protein. 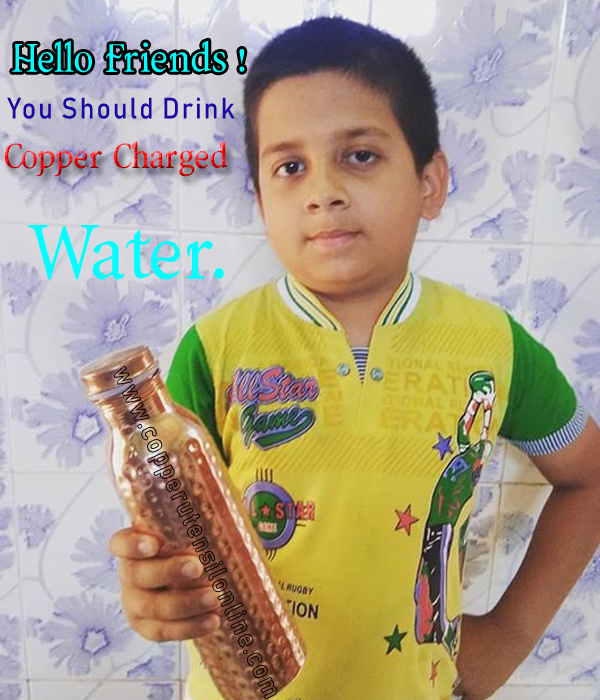 Also when copper gets infused with water, it kills the bacteria and viruses making the water fit for drinking. Copper is also beneficial for maintaining healthy skin. People suffering from Vitiligo are also recommended to drink water stored in a copper vessel, as it helps with the production of melanin. The minimum recommended level of copper helps keep our digestive system healthy. It also helps with fighting against various gastrointestinal diseases.